Who? Henri Cartier-Bresson, a practitioner routinely described as the world’s greatest photographer, did not favour one kind of subject matter over another. Instead, he occupied himself with trying to capture the moment when “life offers itself” to the photographer – whether that be the split second before the heel of a jumping man’s shoe hits the water, or the spinning blur of a wheel in motion. What's more, he established the well known photographic trope of the "decisive moment" in the process. What? Despite a career that witnessed the global convulsions of the 20th century in art, war and politics, it was the strange tremors at the edge of life that caught Cartier-Bresson’s eye. 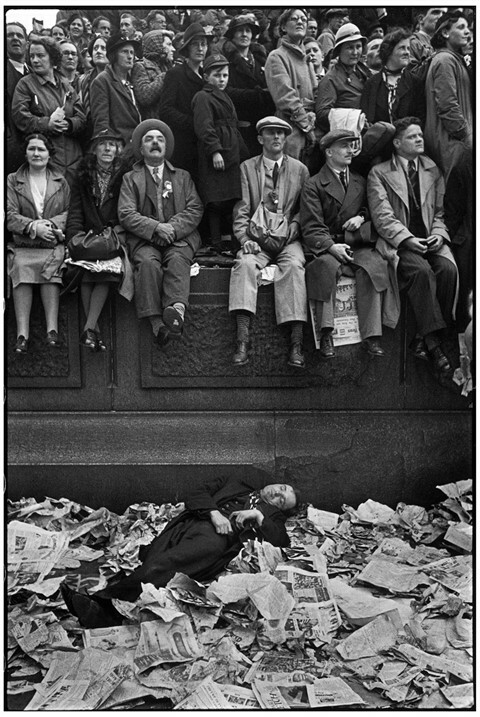 The story of a king’s coronation, for example, is reported in the upturned faces of the crowd in a photograph made extraordinary by a sleeping drunk lying among the newspapers at their feet. In the exhibition, the frames hanging in a neat row on the Fine Art Society walls surge with life. 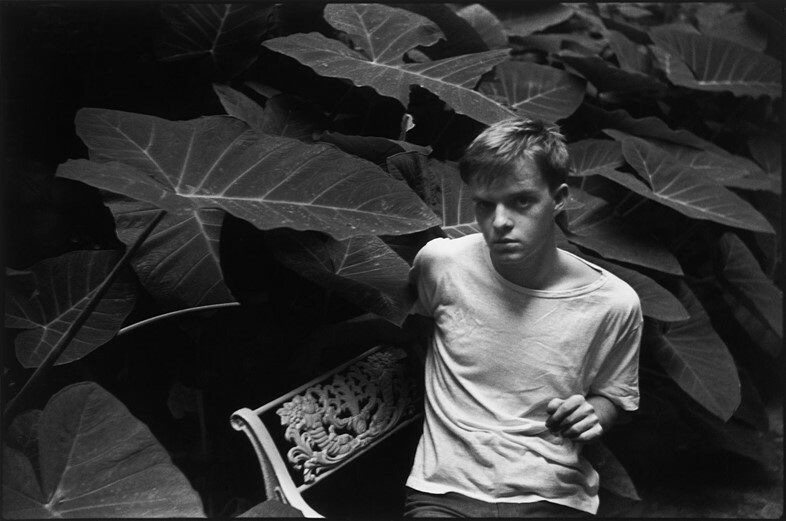 We are taken to the slopes of Krishanagar, across a piazza in Madrid and into the cool of a New Orleans garden in quick succession, where we meet the challenging gaze of a young Truman Capote, surrounded by the shade of enormous leaves. Why? Working only in black and white, Cartier-Bresson’s photographs seem to distill the chaos of life into something pure. His refusal to either crop or manipulate his images feels provocative and refreshing amid contemporary practice, and allows the modern viewer to see things exactly as they were. Decisive Moments reminds us all to look that bit longer and to act that bit quicker, and to cherish the moments which, without stopping to appreciate and react to them, might live and die without ever being witnessed. 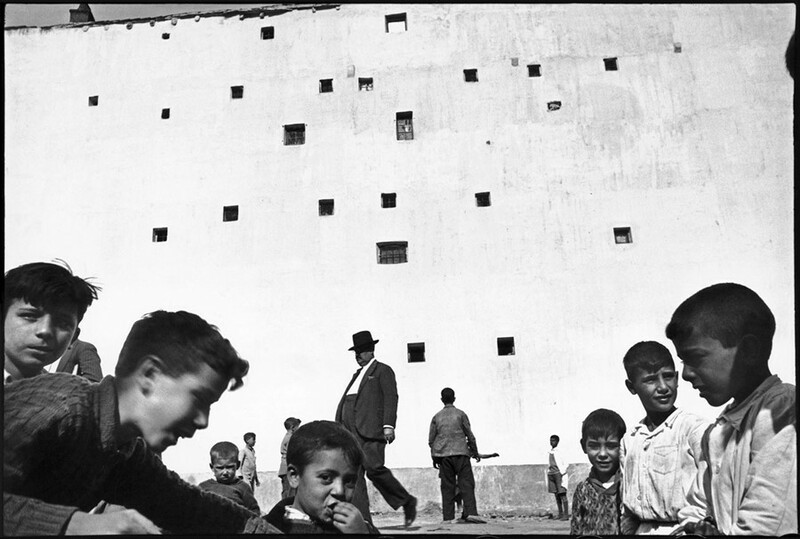 Henri Cartier-Bresson: Decisive Moments is at the Fine Art Society until October 29, 2015.